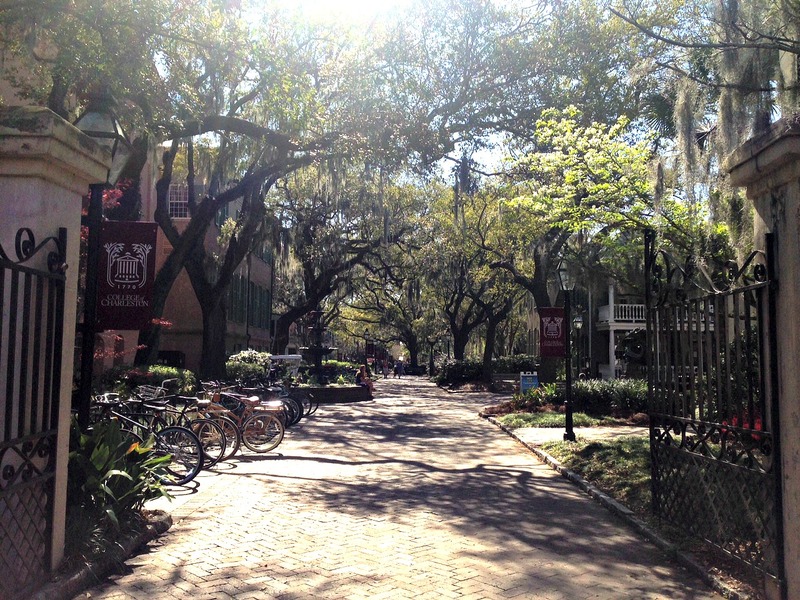 The pretty campus of College of Charleston is in the heart of the city's historic district[/caption] Before the 2015 season springs open here on Nantucket, this Nantucket Insider made a quick getaway to the charming southern city of Charleston, South Carolina. 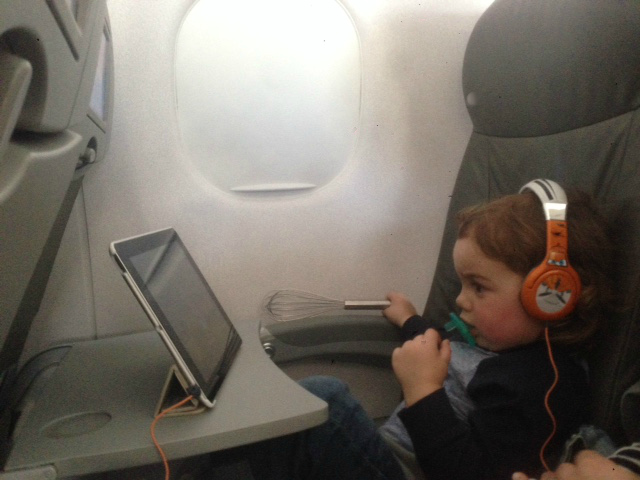 Bridgette Hynes, Director of Business Development for Nantucket Island Resorts found that there is a lot of 'Nantucket appeal' to this small, coastal city -and the travel from Nantucket is a breeze! Waterfront Park has walkways making it ideal for strolling along Cooper River[/caption] Travel to Charleston is pretty easy, JetBlue offers direct service from Boston and the flight time is a little over two hours; this was especially great since my husband and I were taking our two year old son with us! 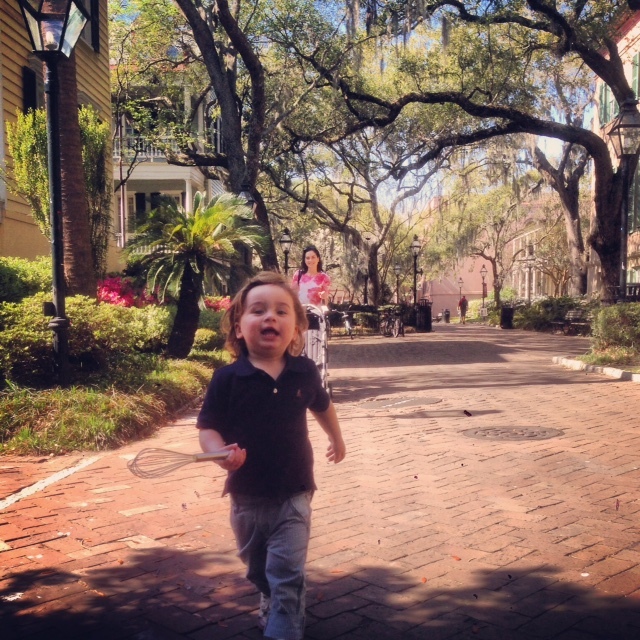 The trip to Charleston is a short enough flight to keep a toddler easily entertained[/caption] We stayed at Charleston Place, a hotel right on King Street, Charleston's main shopping and dining neighborhood. Like Nantucket, many attractions and activities are walk-able from the city's hotels and inns, so unless you are planning to explore farther there is no need to rent a car. Great shops line King Street, from antiques to clothing- and lots of shoes! 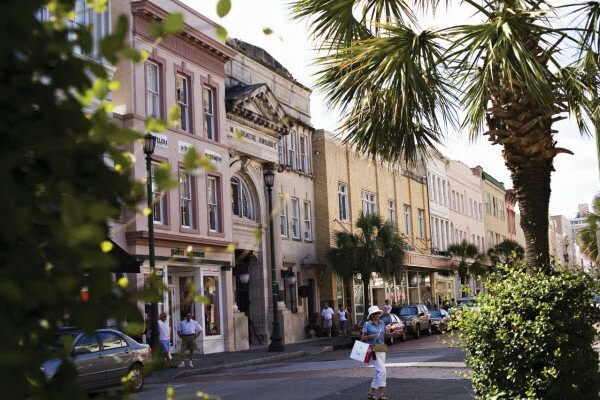 [/caption] Also just like our little gray island, Charleston has a wealth of history and beautifully preserved historic homes to enjoy as you stroll through town. We took a horse and carriage ride to tour some of the pretty side streets and learn a little more about the city's background and folklore. The colonial era homes and buildings are beautiful - though certainly a little more varied in color than what we are used to on Nantucket! 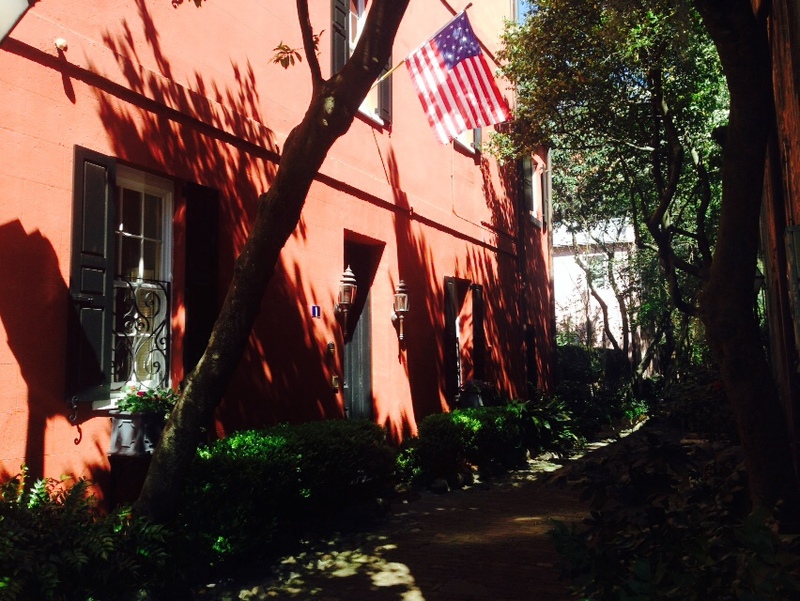 A lovely colonial era home on Philadelphia Alley; the alley way is reportedly haunted- according to our tour guide! 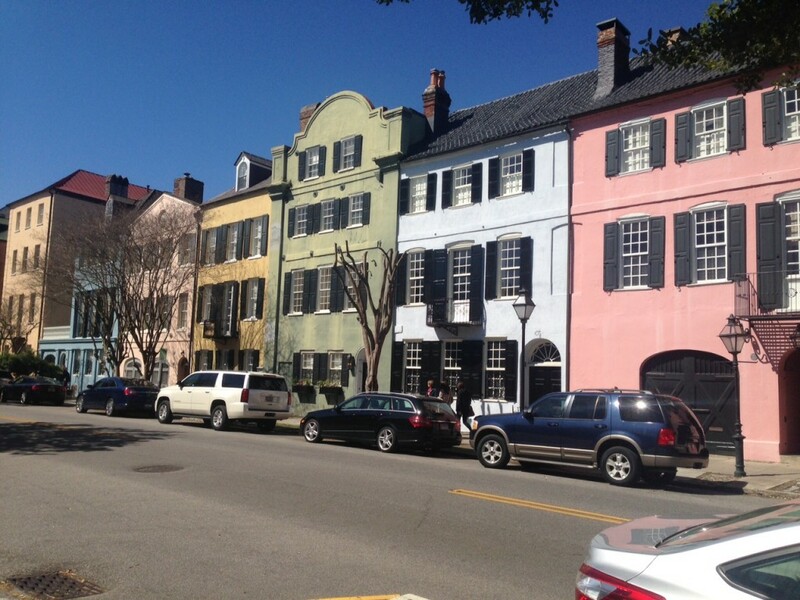 [/caption] "Rainbow Row" houses along East Bay Street[/caption] Lovely window boxes, palmetto trees, and romantic Spanish moss enhance the historic district's quintessentially southern feel. 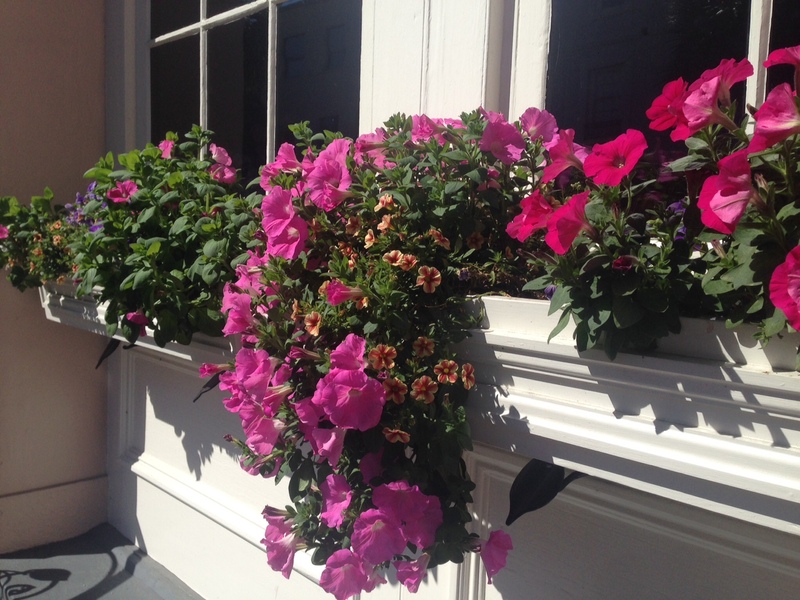 Nice eye candy if you're missing your Nantucket window boxes in March! [/caption] A visit to the nearby South Carolina Aquarium was a must with a toddler in tow- and only a twenty minute walk from our hotel, along some lovely side streets . 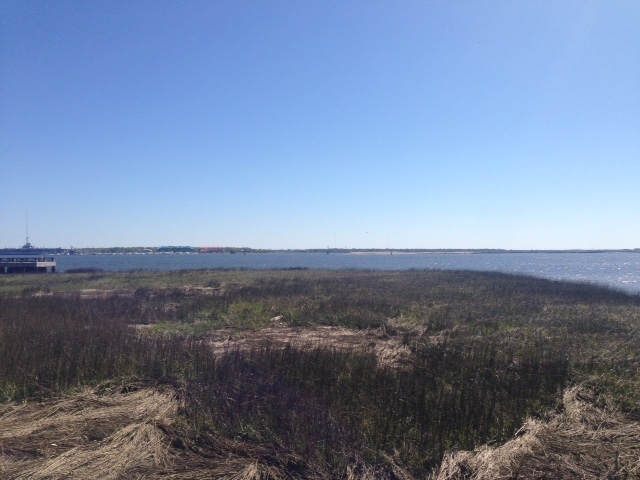 It was just the right size place for small kids to run around and explore the sea life and other species native to the Carolinas; like river otters, snakes, and birds. 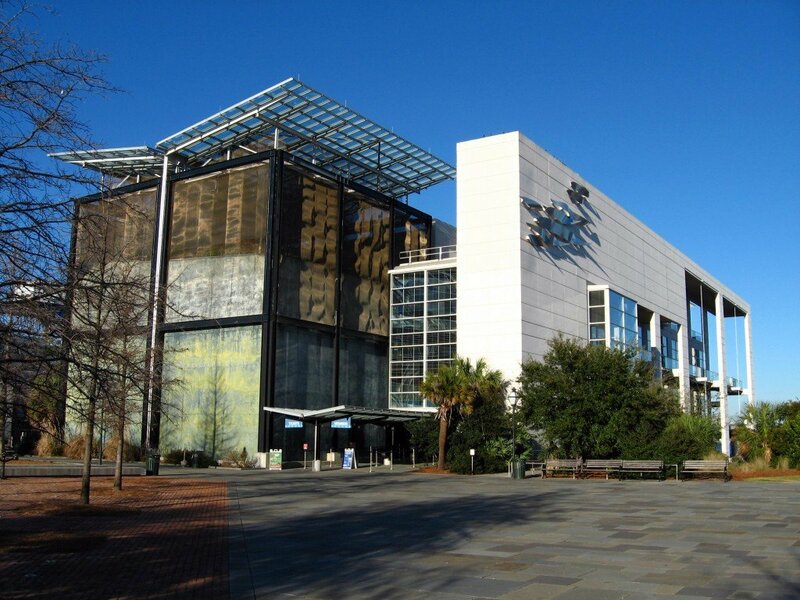 South Carolina Aquarium[/caption] The dining scene is fantastic, with great restaurants and cafes along all of the main streets in the historic district. Husk is a favorite, along with McCrady's, and there are some nice 'kid-friendly' options too with something for everyone, like Minero on East Bay Street. A great place to play in the sun! 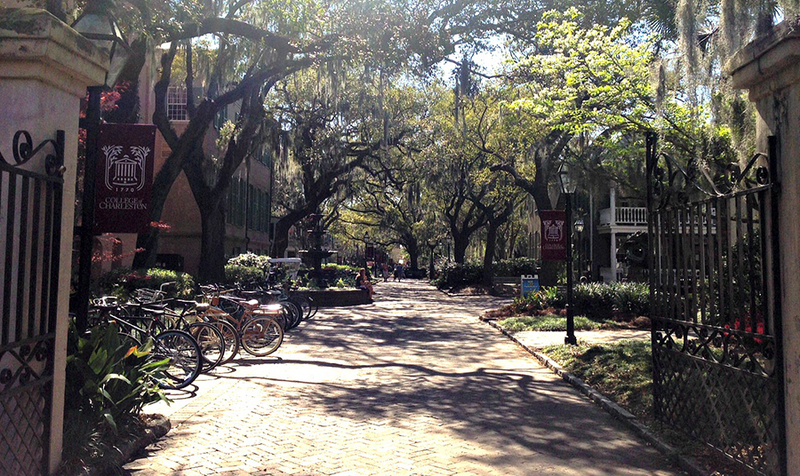 [/caption] The early spring in Charleston is a perfect time for a little getaway to take in some warmer weather- before the summer heat sets in on this southern city. 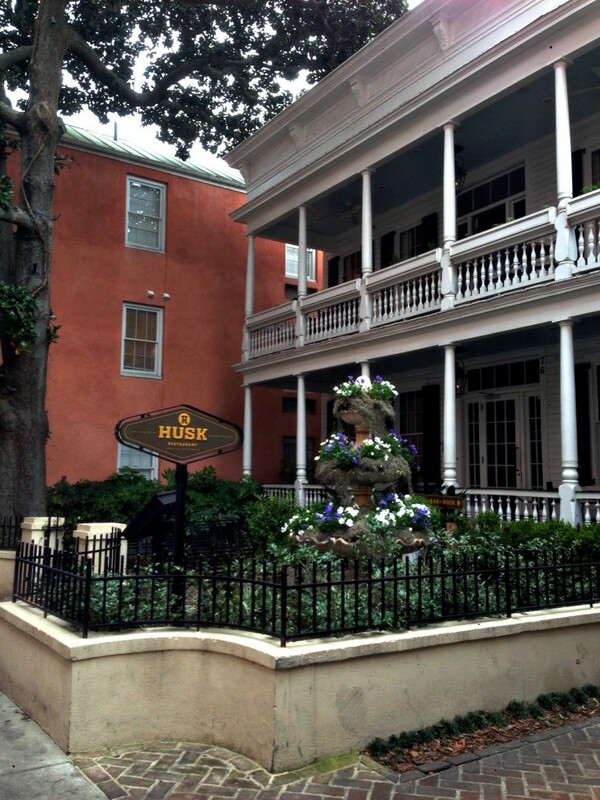 Charleston is a welcoming place and has rich history too - so even in the south a "Nantucketer" can still feel at home!